Japanese Sake is gaining appeal across the globe. This limited-edition line of Sakes was designed to satisfy the palates of sake connoisseurs in Japan and throughout the world. 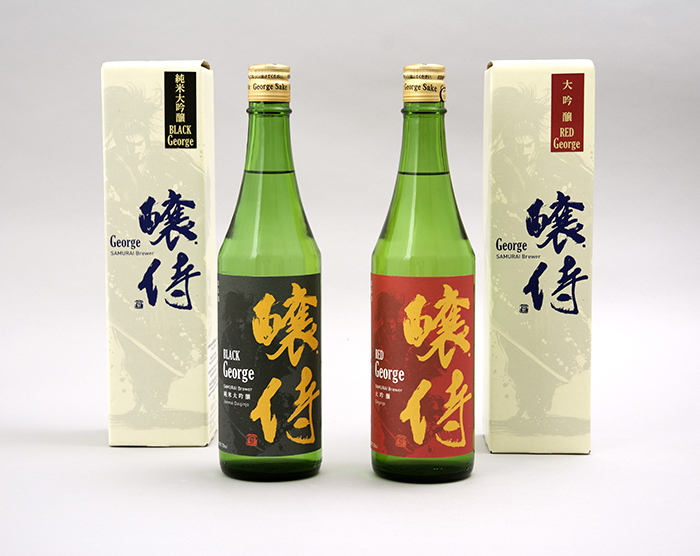 The calligraphic renditions of "George” were prepared for the distillery’s black label and red label Sake. These pieces display the strength and special essence of this unique sake to the world.